Sole tour operator running a 100% non- bated owl workshop allowing you to view & photograph only natural behaviors from photographing perfect flight photos to headshots. 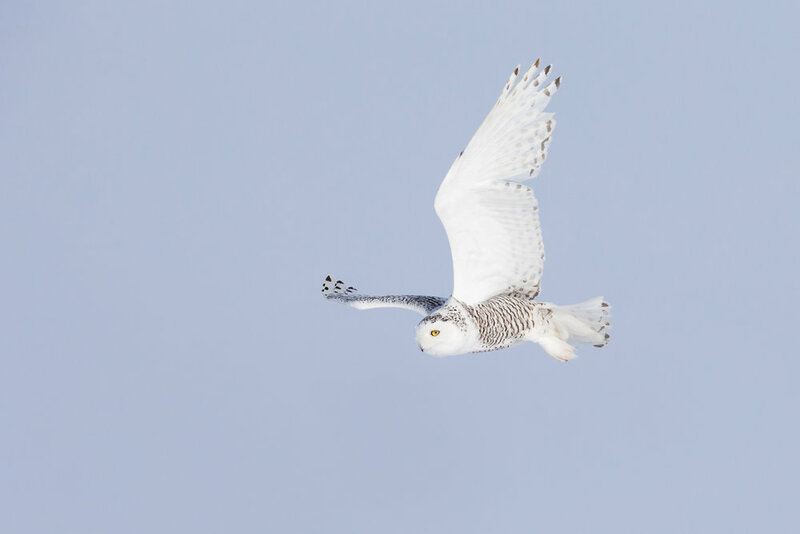 In an area rarely visited by photographers is a hotspot that is one of the best places in the world to view and photograph Snowy Owls that migrate to Michigan every year regardless if an eruption is occurring. After years of scouting and looking for the best and least known Snowy Owl location, we have discovered a premiere hotspot that Snowy Owls visit each year. Nowhere else in the world can you feel like you are alone with these owls with the unbeatable backdrop of snow covering fields for miles. 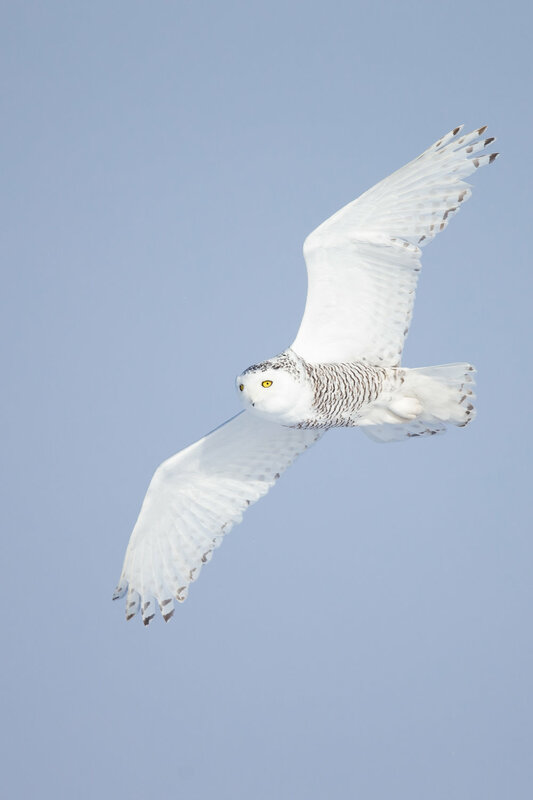 Traveling with us to photograph Snowy Owls in Michigan will provide you with memories that last generations. Unlike other areas in the world, this location does not frequently have many visitors allowing for us to see natural behavior because these owls are not heavily bated like the ones in Canada. We are the sole tour operator that runs 100% non- bated owl photography tours for our clients to experience and photograph only natural behavior. Unlike other tour operators that rely on bating owls in other parts of the world to photograph flight photos, we will never bait owls. Even though we never bait, our location allows us to capture flight photographs over and over again. Because most Snowy Owl hunts are unsuccessful, you have ample opportunities to photograph the flight photos of your dreams. We are not going to lie to you. 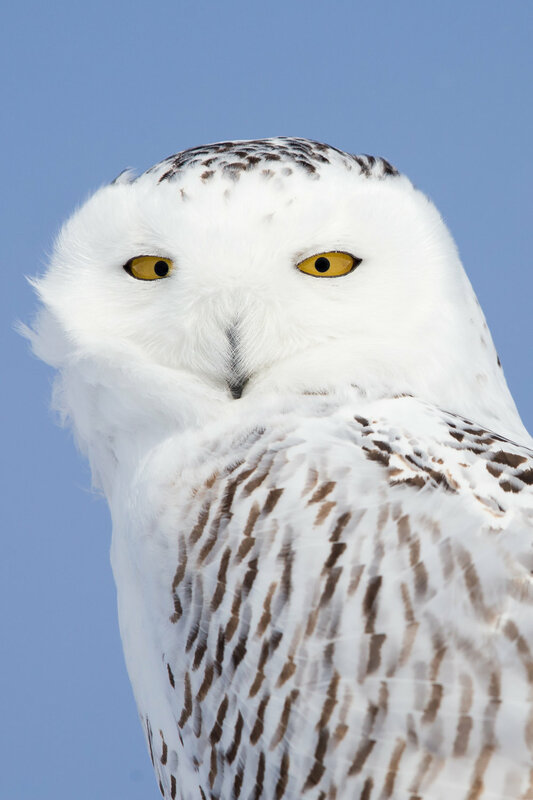 This Snowy Owl tour is located in a cold place in the world; it is not uncommon to experience temperatures colder than 0°F. You will need to be adequately clothed and prepared to stay outside in cold temperatures. Do not worry if you have never been in temperatures this cold. We will provide you will all the information you need to prepare yourself for the trip. On the plus side, this trip requires minimal walking (less than five miles per day). 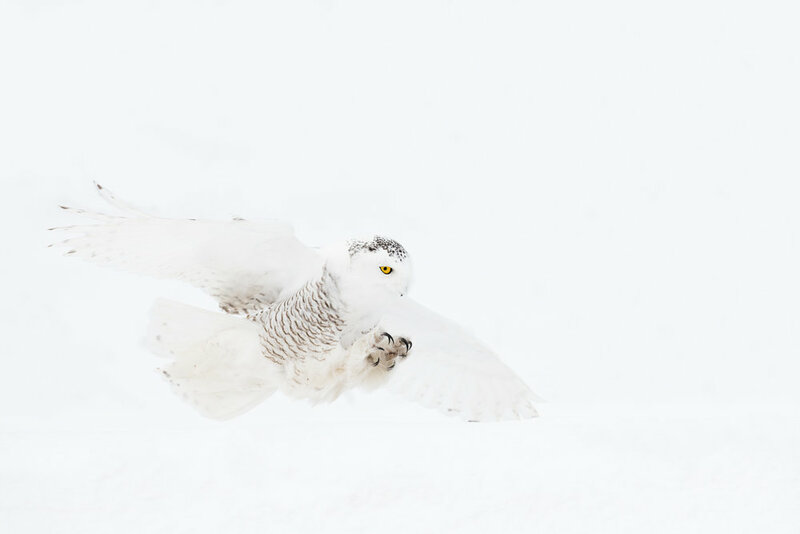 Join us on a trip of a lifetime to photograph Snowy Owls with a guide, Thomas, who has years of local knowledge and knows the location thoroughly. Our itinerary maximizes your time in the field and makes sure you get the experience and photographs of your dreams. We will pick you up, depending on your flight arival time, typically around noon in Northern Michigan and transport you for four hours to your hotel. Before the sun rises, we will leave the hotel around 7:00AM to ensure an early arrival. We will have three full days in the field to focus on Snowy Owls. With a total field time of three and a half days this increases you liklihood of experiencing different weather conditions from sunshine to snowstorms. After the morning session, we will have a midday break from 11:30AM-2:00PM for lunch. After photographing during sunset and ariving back to the hotel around 7PM, there is optional Adobe Lightroom and Photoshop classes offered. NOT INCLUDED: Airfare, hotel costs, meals, passport or VISA fees, and trip insurance. Please note: TRIP INSURANCE COVERING THE COST OF THIS TOUR IS HIGHLY RECOMMENDED IN CASE YOUR PLANE IS DELAYED DUE WINTER TO WEATHER. Lodging: As your guide, I will be camping in the surrounding forest. If you like to camp you are welcome to join me; there is a nominal fee to the government in order to pitch your tent in the closest area. If you would like to camp for free there is many locations in the National Forest roughly an hour away. If you prefer the comfort of of bed there are options ranging from motels relatively close to high end hotels that require a longer drive.